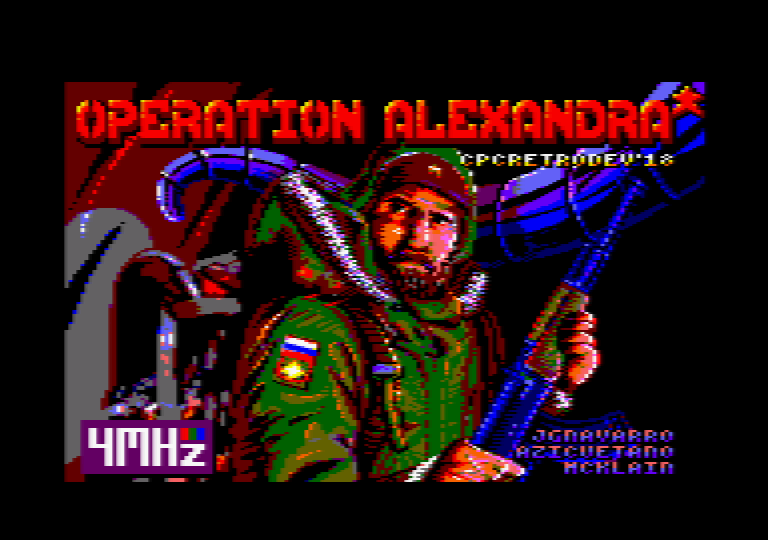 4Mhz is the winner of the CPCretroDev 2018 competition with its game Operation Alexandra (local download). It's a beautiful platform game, you are a russian soldier patrolling outside (minus 23 celcius degrees) near the North Pole at the terra of Alexandra, and you must inspect a place where a signal was emitted. You enter what looks like an old base, without a doubt a nazi base... The rest is in your hands. You can listen to the original music by McKlain on Soundcloud and also a synthwave mix of the music. There are at least two trailers : the first and the third. A gaming video by vidéo de jeu par Oldschool is Beautiful will let you discover the start of the game, lets say that it will you bring some light about the game.